In addition to his own psychoanalytic practice, Sigmund Freud was also a prolific writer. Works such as The Interpretation of Dreams (1900) and The Psychopathology of Everyday Life (1901) helped establish Freud's psychoanalytic theories and made him a dominating force in psychology during the early 20th-century. His work and writings contributed to our understanding of personality, clinical psychology, human development and abnormal psychology. Below are just a few quotes from Freud's writings. "No one who, like me, conjures up the most evil of those half-tamed demons that inhabit the human breast, and seeks to wrestle with them, can expect to come through the struggle unscathed." From Dora: An Analysis of a Case of Hysteria, 1905. "The great question that has never been answered, and which I have not yet been able to answer, despite my thirty years of research into the feminine soul, is 'What does a woman want?'" "Religion is an illusion and it derives its strength from the fact that it falls in with our instinctual desires." From New Introductory Lectures on Psychoanalysis, 1932. "One might compare the relation of the ego to the id with that between a rider and his horse. The horse provides the locomotor energy, and the rider has the prerogative of determining the goal and of guiding the movements of his powerful mount towards it. But all too often in the relations between the ego and the id we find a picture of the less ideal situation in which the rider is obliged to guide his horse in the direction in which it itself wants to go." "Devout believers are safeguarded in a high degree against the risk of certain neurotic illnesses; their acceptance of the universal neurosis spares them the task of constructing a personal one." From The Future of an Illusion, 1927. From A Difficulty in the Path of Psycho-Analysis, 1917. "One feels inclined to say that the intention that man should be 'happy' is not included in the plan of 'Creation.'" "The poor ego has a still harder time of it; it has to serve three harsh masters, and it has to do its best to reconcile the claims and demands of all three...The three tyrants are the external world, the superego, and the id." "Thinking is an experimental dealing with small quantities of energy, just as a general moves miniature figures over a map before setting his troops in action." 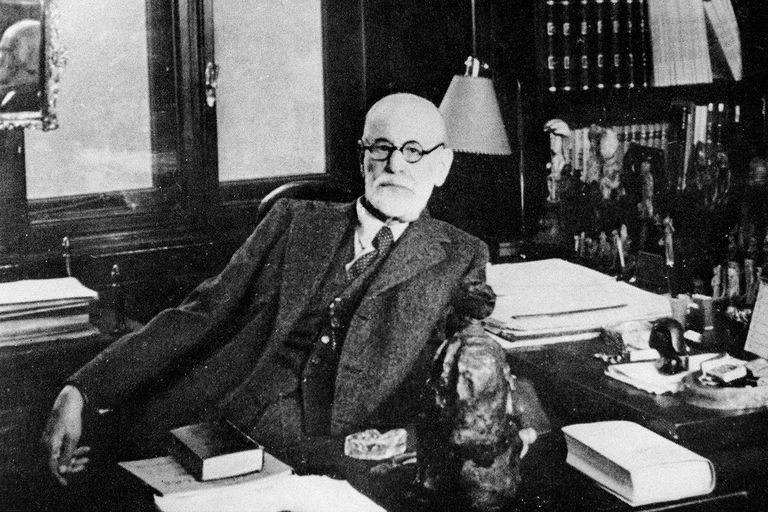 Freud's work helped shape our understanding of the human mind. Over 100 years later, his research and findings continue to influence our studies on the human mind. Freud, S. The Psychopathology of Everyday Life. 1901.